It was such an honor to be part of another Philippine history in the making. At the launch of "Bilang Pilipino 2016" , media personnels gathered to witness TV 5's newest advocacy. 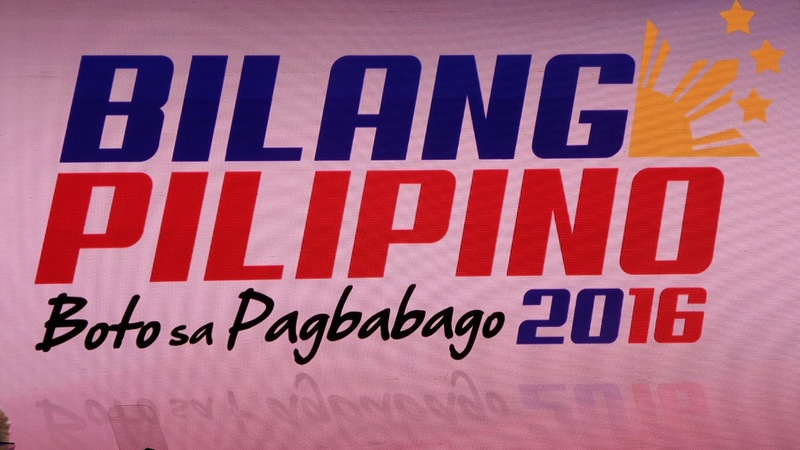 Said to be a promising, unparalleled engagement for Filipino voters for the coming election coverage campaign. This is great for today's busy social media users, since this campaign is done trough data-driven content pushed over broadcast, digital, mobile and social platforms. 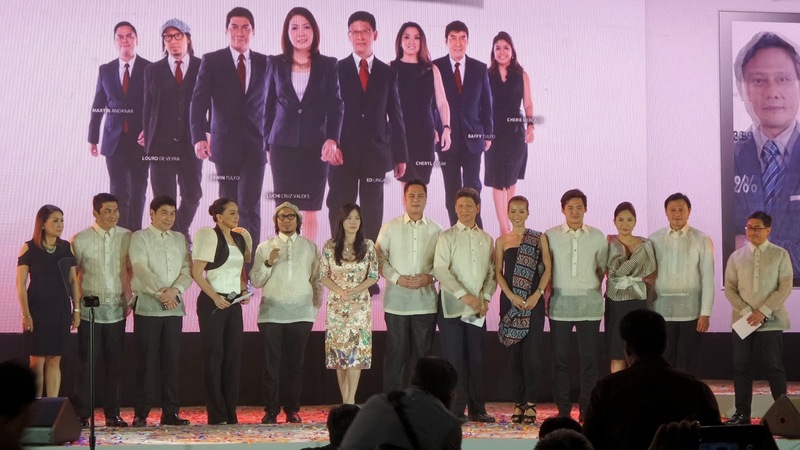 Tagged by TV5 Prsident and CEO Noel Lorenzana as a "360-coverage as only the Kapatid Network can deliver." The grandiose launch was held last August 8, 2015 at the Marriott Grand Ballroom. This is in partnership with TV 5 together with its organizations, universities , mobile, print , digital media , bloggers , PLDT, Cignal cable , SMART, Philippine Star, Business World, Bloomberg Philippines, InterAksyon.com, and Radyo Singko. Finally, "Bilang Pilipino" is a call to action. Thus, another meaning for the phrase which is " As Filipinos..."
On that, "Bilang Pilipino, as Filipinos, we are called to be responsible, to take these elections seriously, to think beyond the elections for the betterment of our nation. "Bilang Pilipino" carries this promise: TV5 will deliver not only as proffessonal jpurnalists, but as proud citizens of a hopeful Philippines. Seamless content and the partnership built for this advocacy is their tool to widely reach every one. Aside from News5, an election parody was created to show the existing election culture the country has and make Filipinos more wiser in choosing who to vote. B.A.Y.A.W for President campaign was also re-introduced to us on the event. 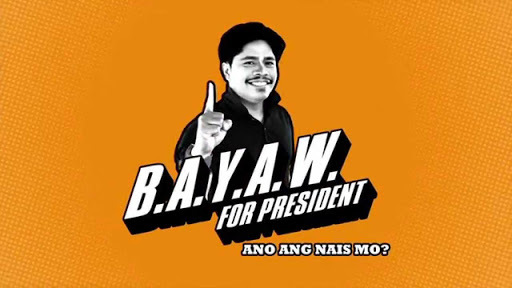 B.A.Y.A.W., stands for Bagong Alyansang Ayaw sa Walang Hiya, is a fictitious party list. Bayaw is actually a character in TV5 played by Jun Sabayton.